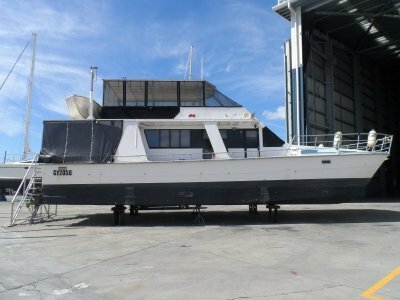 If you are looking for an "As new" powercat to either live on or just go long range cruising this is one big roomy cruiser that would be worth a look! Two large double berthed cabins are provided with extra sleeping accomodation within easy reach. 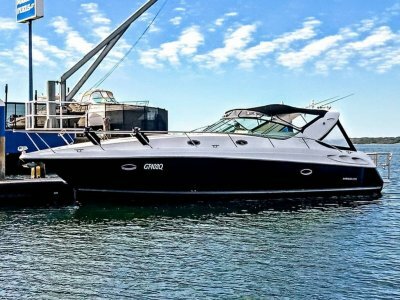 Powered by the economical and highly regarded 260hp Yanmar diesels capable of 20+ knots, this cruiser is yet to hit the water! There is plenty of scope to add your personal touches and make this one something to remember. 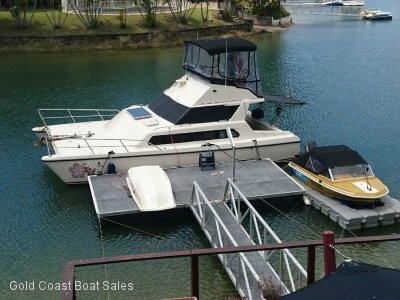 The Inovation cats are very well engineered and built with this great boat being a full custom fitout with the addition of a washer/dryer unit onboard to assist in being self reliant while away from the dock. 6000 litres of diesel give the cat endless possibilities as far as distant bluewater horizons plus 4000 litres of water so you can have a long shower without the worry of running out! 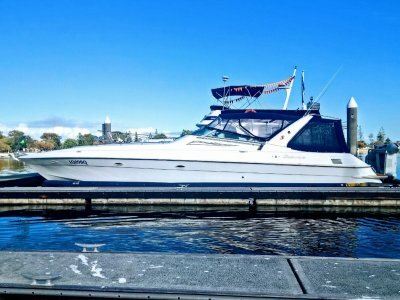 If you are looking for something that is both "Bold & beautiful" and with fantastic inter-Pacific cruising range this one certainly would be recommended. 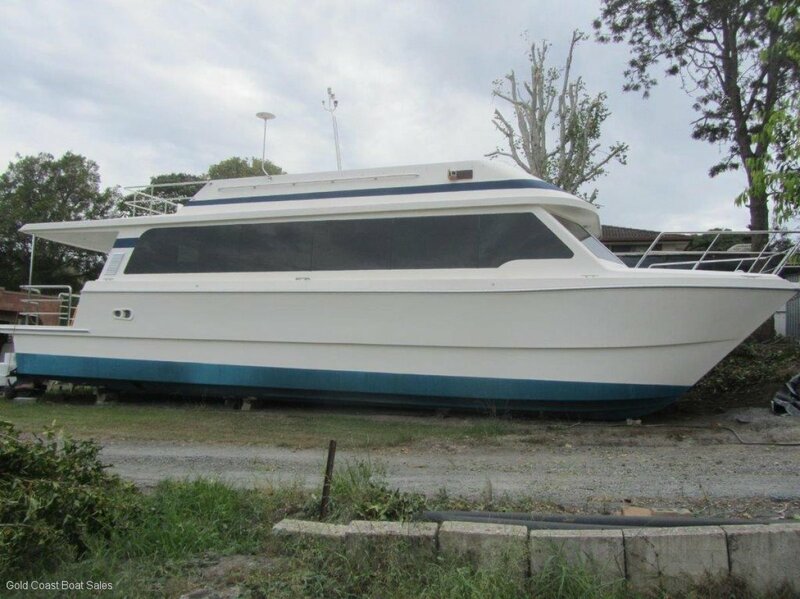 ** Our Runaway Bay Marina based GOLD COAST WATERFRONT office offers all details of this vessel in good faith as furnished by the owner but cannot GUARANTEE nor WARRANT the accuracy of this information nor the condition of the vessel, inventory inclusions are subject to change or deletion without notice prior to sale. *** We recommend that purchasers employ an independent marine surveyor & mechanic to determine the fitness and suitability for the boats intended usage. G O L D C O A S T B O A T S A L E S can organise Discounted Finance, Marine Insurance and Transport to your chosen destination. We are looking for good quality cruisers to sell so contact us today for a no obligation evaluation of your pride and joy! We look forward to your call..